Intel has announced that its first commercial 5G modem, the XMM 8060, has completed end-to-end field testing, beating rival Qualcomm in the 5G race. It is also being rumored that Apple is in talks with Intel to incorporate Intel's 5G offerings in future iPhones. 5G is the natural evolution of the now almost ubiquitous 4G LTE telecommunications standard. Wireless industry leaders, Intel and Qualcomm, have been battling it out to one-up each other to capture a large segment of this lucrative market. Both the companies have been testing 5G modems for some time with Intel now announcing that it has completed full end-to-end testing of its XMM 8060 5G modem over the 28 GHz band. 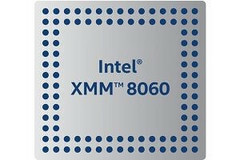 The XMM 8000 family of modems will operate in the sub-6 GHz and millimeter-wave global spectrum bands with multi-mode support for 5G non-standalone (NSA), standalone (SA), 4G, 3G, and 2G modes making it widely compatible with existing network infrastructure while at the same time, enabling a smooth transition to 5G. One of the first benefactors and drivers of the transition to 5G could be none other than Apple. It is being speculated that the company's engineers are in talks with Intel for possible incorporation of the XMM 8060 modem into future iPhones. It is said that Apple engineers deem Intel's capabilities could make a good fit for the iPhone despite Qualcomm's 5G modems having more hardware features. Given the ongoing legal tussle with Qualcomm, the Cupertino giant would want to be less reliant on the former's hardware. Apple equips its Mac lineup exclusively with Intel CPUs and it would be a natural progression for the company to extend this partnership into telecommunications as well. Don't get your hopes up too high, though. The successors to the current iPhone generation will not feature the XMM 8060 5G modem yet as the modem itself will launch only somewhere around mid-2019 or even 2020. Even then, it would take a lot engineering at the ground level to ensure that existing cellular networks make a smooth transition to 5G.